This service is mainly for clients with a looser curl pattern but any hair type can book the service. 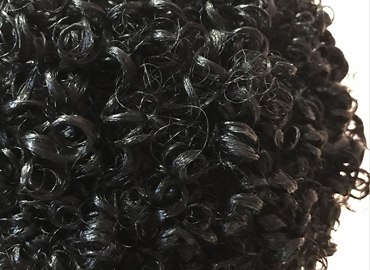 Your natural curls are defined to create a curly Afro-type style. The finished look will vary depending on your hair type. NOTE: if you have have heat damage or have not fully transitioned, this service is not recommended. This style is ideal for clients who don't wish to wear their hair "out". 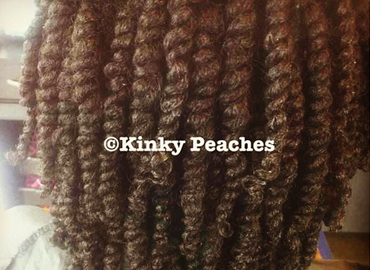 It's a type of protective style that needs very little manipulation. Just keep them moisturized and go! NOTE: if you have have heat damage or have not fully transitioned, this service is not recommended. This style is great for clients who want a different look for an event/special occasion or just want a change. It's PERFECT for clients who are transitioning or have heat damage because it hides the different textures. 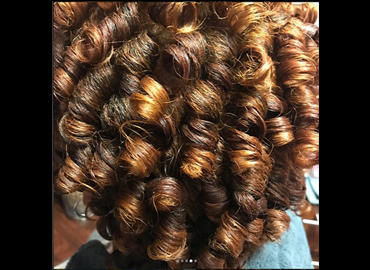 NOTE: Depending on your hair (texture, fullness and thickness) and activity (active lifestyle, sweat a lot in hair), the perm rod set will last a few days to 2 weeks. Please keep this in mind when booking. Like two-strand twists, this style is ideal for clients who don't wish to wear their hair "out". 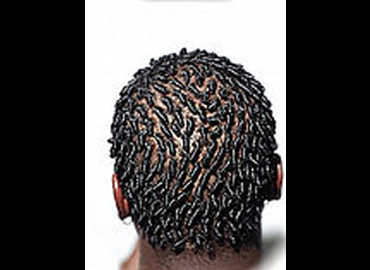 It's a type of protective style that needs very little manipulation. Just keep them moisturized and go! NOTE: if you have have heat damage or have not fully transitioned, this service is not recommended. Henna is an all-natural plant-based color which covers grays. It will not lighten dark hair. So you can't get highlights or "lift" your already dark hair. Henna is perfect for clients who are not ready to embrace their grays but do not want to use chemicals to color their hair. You can get henna regardless of your hair color, if you'd like to take advantage of the benefits of henna. 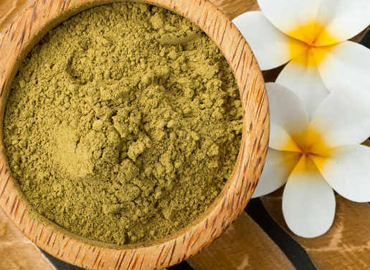 Click HERE to learn more about henna prior to booking an appointment. A trim can be added to most services. 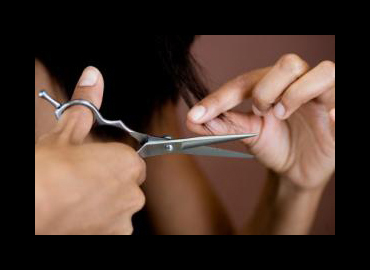 Your stylist will also recommend a trim if she feels one is needed. Ready to get rid of all of your permed or heat damaged hair? Then choose THE BIG CHOP. Please make sure you are ready. You will most likely end up with a short afro depending on how much new growth you have. Your hair will be accessed and we will discuss your hair type, the health and condition of your hair, how you should care for your hair type and the proper products to use for your hair. All appointments are booked online WE DO NOT BOOK APPOINTMENTS OVER THE PHONE and a 25% deposit is required. The deposit is non-refundable if you are a no-show. All appointments include a free 20 minute steam treatment. PLEASE SELECT YOUR CORRECT LENGTH AND DENSITY. 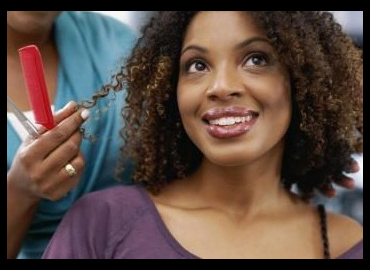 Low Density = Your hair has a normal thickness and density. High Density = You have a lot of hair.